2mil to spend on upgrades?? wow! i'd invest that and make another mil during this period..
Keep going boys. Took me 300+ packs to get one of these, still going though! I've also managed to complete the David Silva SBC for 'free' and I'm in a good position to hopefully do the new POTM for cheap too. This really does feed the pack addiction. Yeah if you do these upgrades in a clever way (don't bin anything, win cards on bids etc). Even if you have very average luck you can basically get card value back for the sbcs you do. So I'm going to spend my last 2.5m!!!! on upgrade packs. But after bidding and winning 60 players I have been banned twice. How am I suppose to bin and win over 2000 players without getting alot of bans? Pack weights have been good to me this week, plenty of walkouts and decent IF’s. Just no blue, but that’s okay, the odds were never in my favour. I’ll have one last SBC grind tonight, must have opened well over 100 packs this week with no blue. Tonight is my last chance, probably out of coins once I’m finished. Its all down to luck.. 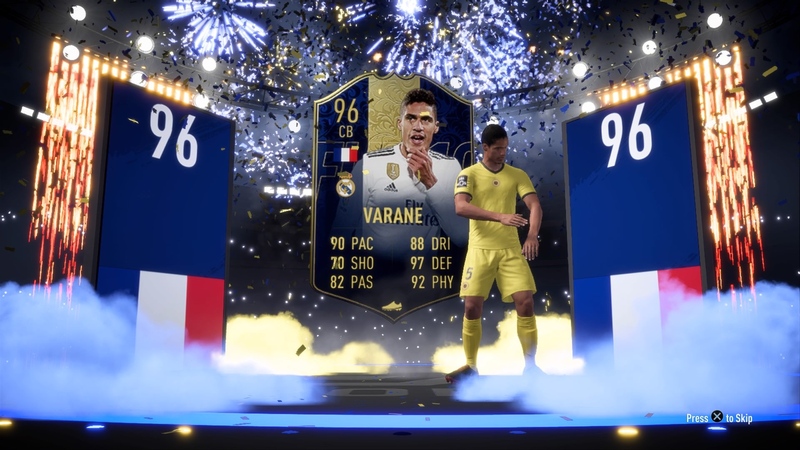 I pulled TOTY VVD last night from one of my gold upgrades. If you're getting banned BINning players then trying just bidding, has been fine for me since my initial ban a few days ago! Best pulls was Isco, Lloris, Casemiro, Keylor Navas and 2 discard IFs. Been putting my nif into gold upgrade and then put the rares into PL and La Liga premium. Around 25 of each- Ederson, Ozil, IF Arthur. So stopped stacking at 265 premium upgrade packs (PL and La Liga). @MikeyP_FC Hey man! How's it going? It's been a long time. What is the tell that lets you know it's a walkout?